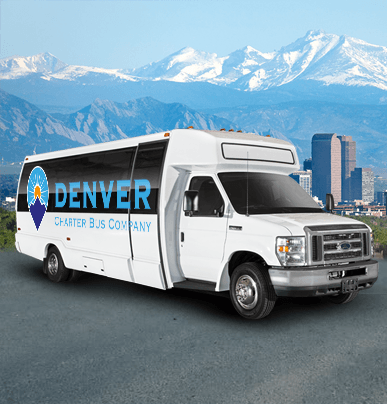 Denver Charter Bus Company makes it easy to travel into, out of, and around Denver and the surrounding areas. 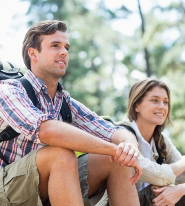 Our team is dedicated to giving you a stress-free travel experience for all of your upcoming group trips, no matter where you're headed. 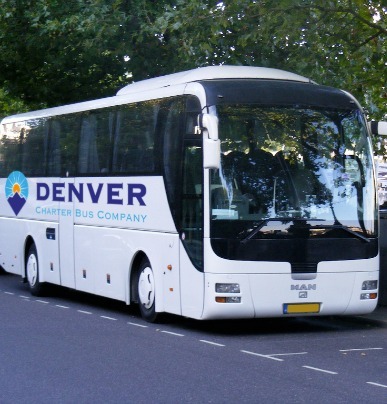 With access to the largest network of coaches in the city, we’re your top choice for Denver group travel. Whether you’re a coach, player, or fan, we make it easy to transport your group to all upcoming games. 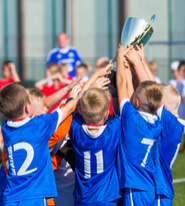 Travel locally or to away games in a motorcoach outfitted to perfectly meet your team's needs. With ample storage space and plenty of comfortable amenities such as extra legroom and WiFi, everyone will enjoy the ride to the next game. Bring wedding guests into town or shuttle them between ceremony and reception venues with ease in a private bus rental. 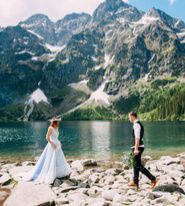 For weddings small and large, we’ll help you plan every last detail of your event’s transportation so you can focus on enjoying an unforgettable wedding. Each part of your special day will begin and end according to schedule with private transportation for your guests and wedding party. Keep your business event running smoothly with a private bus rental to shuttle colleagues, special guests, or conference attendees around Denver. We’ll bring corporate guests in from nearby cities, transport everyone from airports, or even set up a shuttle service between separate event venues. No one will end up lost or late when you have a private bus and a professional driver at your disposal. From beautiful outdoor attractions to bustling arts districts, Denver has so much for groups to experience. 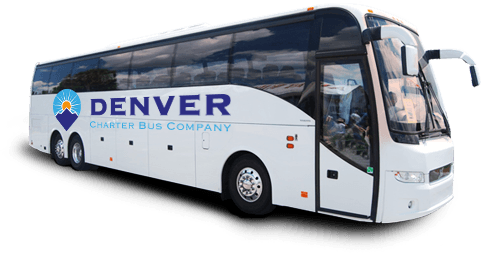 Reserve a private charter bus for simplified travel throughout the Denver area for your next group vacation in the Mile High City. We specialize in all types of private outings, including vacations, family reunions, summer camp events, church outings, and more. Explore 23 acres of themed gardens, including North America’s largest collection of plants from cold-temperature climates. The Gardens’ sunken amphitheater also hosts various concerts each summer. This museum contains a collection of over 3,500 art pieces, including styles such as art nouveau, art deco, Pop Art, and postmodern works. The collection is housed in the art school building of the late painter Vance Kirkland. See the Colorado Rockies play at Coors Field, named for the Coors Brewing Company native to Colorado. Enjoy a Blue Moon and a variety of classic ballpark food while you relax and watch a game with your friends. Over one million objects call this collection home to provide science education on the natural history of Colorado, Earth, and the universe. Exhibitions, an IMAX theatre, and various classrooms are available for students and curious minds to explore. Stop by the Denver Center for the Performing Arts for an unforgettable live show, whether it be a brand-new local play or a touring Broadway extravaganza. Acting classes and rental facilities are also available for public use. 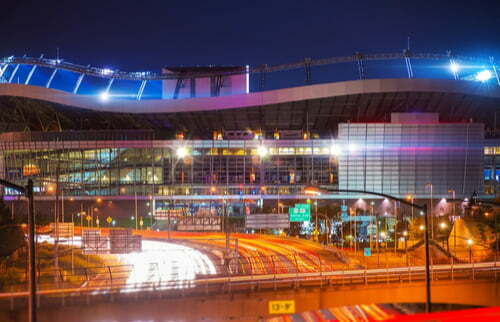 Home to the Denver Broncos of the NFL, Mile High Stadium is the perfect stop for traveling football fans on a fall Saturday. Multiple traditions have stood the test of time at this stadium, including the “Incomplete Chant” and the “Mile High Thunder” in the upper decks. About 500 exhibits showcase “Anything on Wheels” (the museums’ official slogan) at the Forney Museum of Transportation. The collection has now gained a reputation as one of the finest transportation collections in the country. One of the largest art museums west of Chicago, the Denver Art Museum is known for its collection of American Indian art and 70,000 other works from countries around the world. 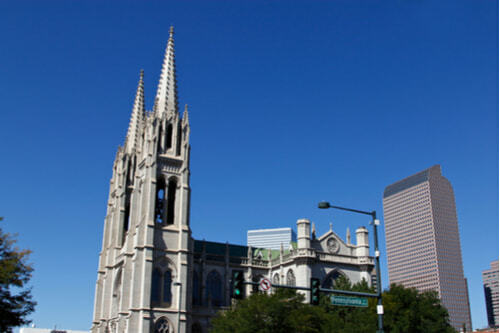 Stop by to admire the beautiful architecture, or plan a dream wedding at this breathtaking cathedral in downtown Denver. Six Sunday masses and regular other services are also offered. The Clyfford Still Museum’s collection is made up primarily of large-scale paintings and works by the abstract expressionist Clyfford Still. A minimalist set-up gives the museum a unique and inspiring atmosphere. Lower Downtown (LoDo) is a historic district and among the oldest neighborhoods in Denver. LoDo is home to Coors Field, the famous Union Station, and historic Larimer Square which has plenty of restaurants, shopping boutiques, and nightlife. As the premier location for high-end shopping, nightlife, and dining in Denver, Cherry Creek is a perfect place to plan a company happy hour, social gathering, or a special outing with friends and family. Grab a few drinks, enjoy delicious gourmet food, and do a little shopping in this luxe residential neighborhood. River North Art District (RiNo) is known for being one of the hippest and arts-oriented neighborhoods in Denver. The neighborhood is home to dozens of art galleries, street art murals, craft breweries, and music venues. 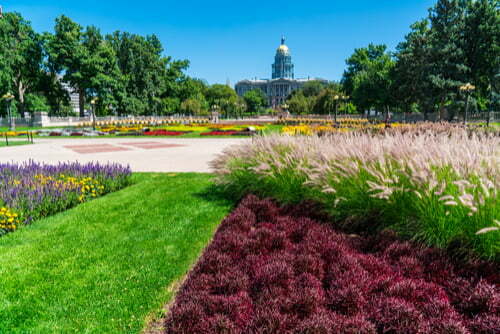 Capitol Hill is a popular residential neighborhood filled with historic buildings like the Colorado State Capitol. 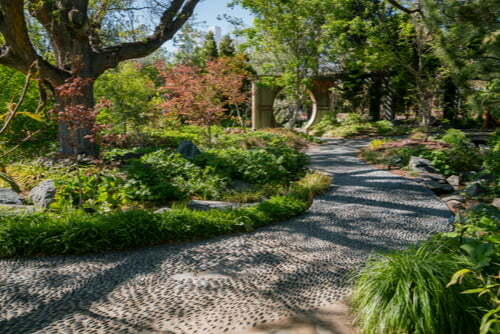 Capitol Hill is also close to Downtown and Cheesman Park, where popular locations like the Denver Botanic Gardens and the Denver Art Museum. This popular neighborhood is sometimes referred to as North Capitol Hill, but most locals call it Uptown. Not only is it close to Denver’s Central Business District in downtown but Uptown borders City Park, which is home to the Denver Zoo and the Denver Museum of Nature and Science. We’ve worked with a wide range of companies, from startups and nonprofits to Fortune 500s, to provide the easiest, most reliable group transportation. Our expertise, large network of bus rentals, and 24/7 customer support has made us the top choice for streamlined charter bus rentals in New York City. Full-sized charter buses are able to hold up to 56 passengers and are equipped with plenty of amenities to ensure a comfortable long-distance trip for your large traveling group. Enjoy WiFi, reclining seats, luggage bays, and even on-board restrooms while you travel through Denver. All bus rentals come with an experienced, professional driver. Best for local travel or day trips, minibuses offer a compact solution to group travel needs. Instead of separating into cars or taking public transit, your group can stay together and enjoy entertainment options, reclining seats, and overhead storage on your way to your favorite local stops. Your personal driver will ensure that you arrive at each stop on time.